This is a way to make more of your mashed potatoes. 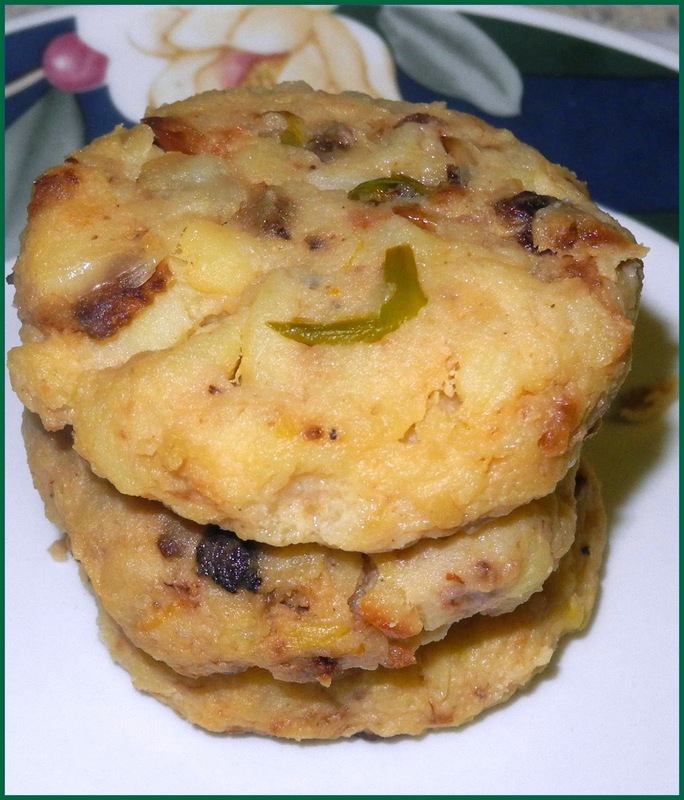 I love mashed potatoes, pure and simple but then, I also love them mixed with all kinds of vegetables, in kugels, bakes, potato balls and of course, these patties. They are easy to make. Preheat oven to 350 degrees. Cover a cookie sheet with parchment paper. Put aside. Fill a large pot 2/3 of the way up with cold water. Add to water potatoes and carrots. Bring to boil and cook for up to 20 minutes or until soft and cooked through. While vegetables are cooking, heat oil in a skillet. Add onions and cook for 10 minutes, stirring occasionally. Add bell peppers and cook for another 5 minutes. Drain potatoes and carrots and put in a large bowl. With a potato masher or similar tool, mash vegetables. Add sour cream and milk and continue to mash until creamy and soft. Add onions and bell peppers. Mix in well. Add onion powder and salt. Mix in. It is time to make the patties. If you find, the batter is too liquidy, add some potato starch or flour until the right consistency. I used a quarter cup to make small patties. I filled a quarter cup measure and plopped it down on a parchment covered baking sheet. Flatten with a spatula. Repeat until you have used all the mashed potatoes and carrots. Bake in 350 degree oven for 20 minutes until golden or lightly browned. You can leave the mashed vegetables a little chunky, if you like them this way. These could be served with sour cream on the side. I love the idea of putting carrots in these! These patties look very delicious, Chaya. I like the add of veggies. 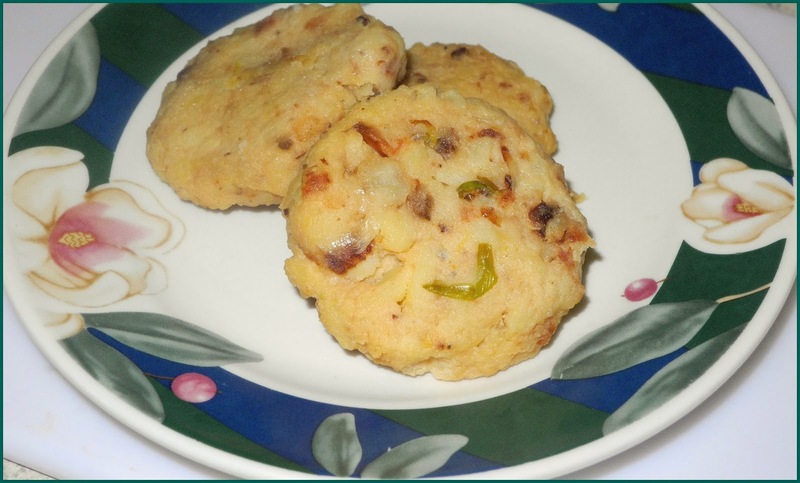 My late mom used to make mashed potato patties but without the veggies. I loved them but I like your idea of adding vegetables for both flavour and nutrition! What a great way to encourage little ones to eat things that are good for them! Thank you for sharing this recipe with us at the Hearth and Soul hop.